In 2015, our Centenary year, the PLC Old Collegians’ Association undertook an initiative to launch the Inspiring Women Programme. The Inspiring Women Programme endeavours to research, recognise and honour past PLC students who have achieved success in their chosen field, career or an area of personal pursuit that the OCA, as a committee, deem as being inspirational. When the OCA committee started researching prospective recipients in 2015, with the assistance of the Archives Department at PLC, we were overwhelmed by just how many amazing women of all ages had passed through the College. As such, rather than limit this project to PLC’s Centenary year, we decided to make celebrating our Inspiring Women an ongoing programme. We have no particular criteria, other than to make the selection each year based on the individual having made a significant contribution in their chosen field or endeavour. This honour roll to date, has included women in business and finance, sporting individuals, educators, medical and legal professionals, performing and visual artists and humanitarians, just to name a few, and the list is immense. It is our purpose to bring to current PLC students and fellow Old Collegians some of these very accomplished and inspiring women, with the view that it may help to one day ignite the ‘spark’ that each and every one of us holds for contemplation and action into our own future endeavours whatever path you may take. It is our great honour and pleasure to announce Jane Humphrys (1992) as the 2018 OCA Inspiring Women’s recipient. After taking a year off after school to work back on the family farm and drive around Australia, Jane studied Sports Management at university. She then worked at the Ministry of Sport and Recreation followed by St Hilda’s school as their Outdoor Education assistant. Still feeling she hadn’t found her true calling, she applied for a position as a career fire fighter. Six months later and after an arduous application process, she was selected with 17 others to start at the firefighting recruit school. At that stage, there were only eight women in the service in WA. Jane is now in her eighteenth year as a fire fighter, for the last seven years she has worked as a Station Officer in charge of her fire station platoon and at any one incident may manage up to three fire truck crews. As well as going about her everyday life as a fire fighter, Jane is used to responding to some extreme emergencies. She has extinguished ship fires in Dampier, helicoptered stranded flood victims in the states north, searched for missing persons during New Zealand’s earth quakes (first ever overseas deployment from WA), contained large chemical spills, cut people out of cars, not to mention the obligatory rescuing cats out of trees! She has competed and won the ultimate fire fighters challenge in Canada, and was a runner recipient in New York. 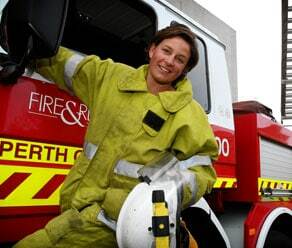 Jane considers herself extremely fortunate to be a member of the first operational all female fire truck crew in Australia. She is passionate about her profession, and continues to train and recruit firefighters as part of her ongoing commitment to the organisation. It is our great honour and pleasure to announce Georgie Smith (1986) as the 2017 OCA Inspiring Women’s recipient. Georgie Smith is a Los Angeles-based filmmaker, chef and designer, who grew up in Perth and graduated from PLC in 1986. Georgie founded the non-profit organisation, A Sense of Home (ASOH), after her random act of kindness for an aged-out foster youth formed a model for a community based solution to an escalating crisis. A Sense of Home is a non-profit organisation based in Los Angeles that is dedicated to creating homes, community and a new beginning for foster youth after exiting the foster-care system. Foster youth exiting the system are more likely to become homeless or incarcerated than any other population (at a cost of $8billion/year to the tax payer). In just three years, A Sense of Home has created 240 homes changing the trajectory of 320 young lives. 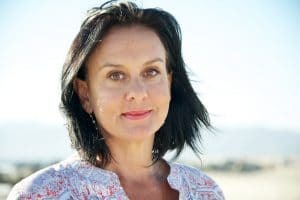 Georgie has hired a staff of all former foster youth to run the organisation, empowering the once disenfranchised to become leaders of sustainable change. ASOH is a model to be replicated around the US and the world. Georgie and fellow ASOH founder, Melissa Goddard, will soon launch a social enterprise that will benefit ASOH, aged-out foster youth and anyone creating their first ever home. Georgie is dedicated to building healthier, more loving communities from the ground up. Prior to ASOH Georgie was a designer of new homes, interiors, landscapes and events. The events that Georgie creates also included her own unique culinary expression. You can read more about Georgie and ASOH at her website.